The art of China’s Tang period (618 to 907) has delighted me ever since I happened across this piece a few years ago in the Chicago Art Institute, where I took the sadly discolored snap on the right. But the two views are from slightly different angles. Together they give a sense of the action. The horse’s rear legs are almost together, as if standing; the front legs are in motion. The horse is turning. 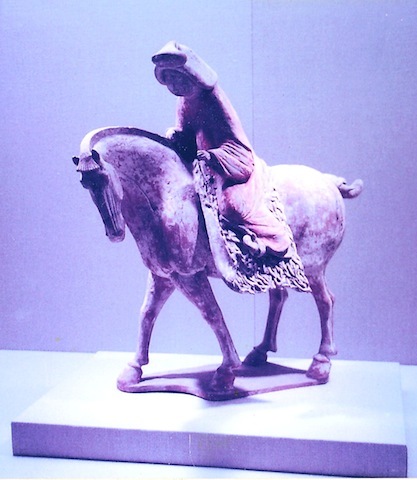 The rider is urging her mount, leaning into the turn. Whatever her journey or errand, she’s changed her mind; she’s going back. There is some story there that we recognize, 1400 years later. My snap is discolored because it’s a pre-digital print, and has been on our refrigerator door for years. That’s how it looked in the display case. I like the shadows. It’s less informative about the details, but more evocative. But culture–civilization–is not a smooth or consistent condition, to say the least. 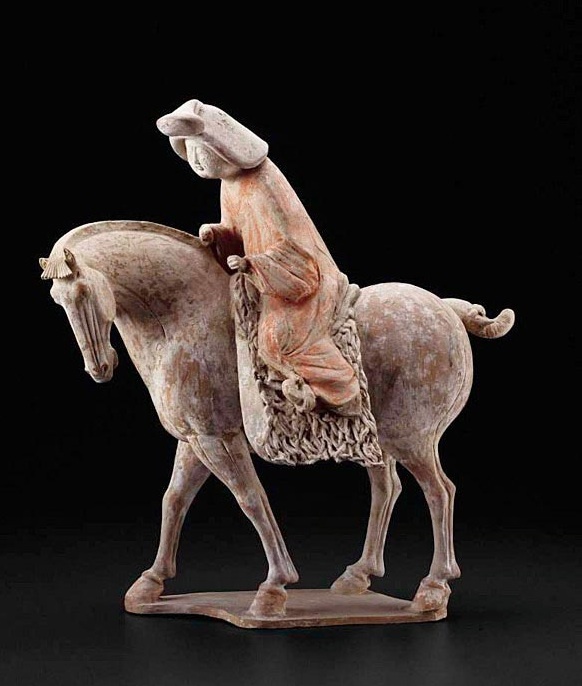 In The Better Angels of Our Nature–Why Violence Has Declined, Steven Pinker describes the An Lushan Revolt in 8th Century China (the Tang period) as the single worst disaster in human history, with 36 million dead.